Non-surgical/non-invasive skin rejuvenation that lasts up to five years. This applies to both men and women: If your skin has begun to show the signs of sun damage or aging wrinkles and lines, brown spots, acne pitting, enlarged pores – or if you have rosacea, acne, raised scars or stretch marks, Carlton Neuben and Associate, Jennifer Bishop can gently and effectively treat you with IPL (Intense Pulsed Light) treatments. An intense light is gently applied in a series of 6-8 visits. Without damaging the skin, the light passes through the top layer of skin (epidermis) and causes a wound/healing effect in the dermal layer. 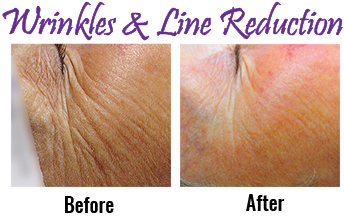 As the dermal area heals it remodels collagen and reduces wrinkles and lines. Sun spots, eye wrinkles and mouth wrinkles are typically treated with non-surgical treatments such as this.This continues to happen over a period of 4-6 weeks after each visit. Pigmented lesions (brown spots, hyper pigmentation and sun damage) darken before they flake off or are absorbed by the body. Treatmens can take place as frequently as every 2-3 weeks. Many patients see a 70% to 90% improvement following treatments and most patients are very happy with their results. After successive treatments, the skin will feel much smoother and the complexion is more even. In a study of 80 patients in England the general consensus was that each treatment made them look 2 years younger. Most commonly treated areas are face, neck, décolletage (chest), hands and arms. 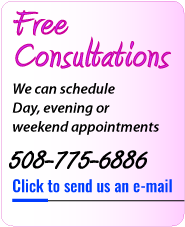 ""I was seriously considering having Botox injections ... "
Skin rejuvination treatments are performed by Carlton Neuben in Hyannis, on Cape Cod. 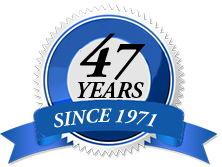 Carlton Neuben and Jennifer Bishop also perform treatments for electrolysis, laser hair removal, laser, acne, cosmetic skin treatment, frown lines,electrolysis, brow furrows, skin therapy, toenail fungus treatments, wrinkles in Hyannis, Orleans, Falmouth on Cape Cod.